We’ve been home a lot these past couple of weeks. I’ve been saying over and over, ‘I love June.” and THAT’S because we’ve actually had a BREAK. I’ve put my kids to bed every night. I’ve cooked dinner every night. We’ve gone swimming as a family after naps. And I’m catching up on home projects, cleaning my house and office work that only gets done if you can be HOME. We love what we do. We love being as busy as we are. But there are a couple of months a year that are slower than all the others, and they are a welcome break! You can love what you do tremendously and still need a break from it to recharge, refresh and restore yourself. So it’s been absolutely refreshing. That was a lot of ‘R’ words. I made this salad last week AND the dressing and it was SO good. I actually baked a couple of chicken breasts to put on the side. I try to eat vegan as often as I can. But a couple of times a week, I eat some meat. This was the perfect salad to pair some chicken with. It was a great meal. And yes, I made garlic bread with it out of hot dog buns. Does anyone else do this??? No? Just me? My mom used to do it ALL the time. She was a single mamma trying to make ends meet so she used EVERY bit of food for ANY purpose that we needed. So it’s nostalgic for me. You should try it. It’s sorta like breadsticks, but not. And it’s on hot dog buns. YUM. Anyways. I digress. Back to the salad. Toast almonds in a small skillet over medium heat for a couple of minutes to brown and bring out the flavor. 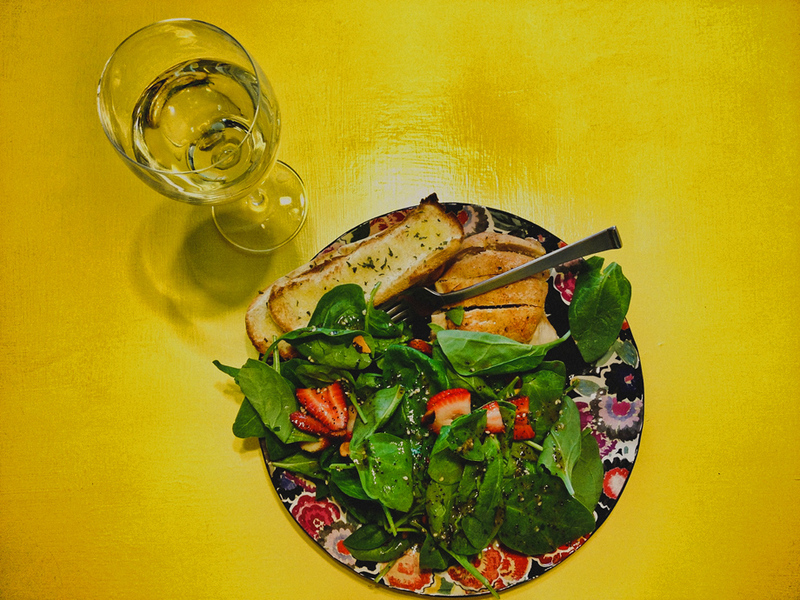 In a large bowl, combine the spinach, strawberries. and almonds. Place dressing ingredients in a blender; cover and process until combined. You can make the dressing ahead of time and store in the refrigerator. Pour over salad right before serving and toss to coat. Serve immediately. Makes 6-8 servings. * Image taken on my iPhone. *Recipe found on Pinterest. But you can also find the recipe here. Holy moly, I actually did it. If you haven’t read my previous post, then let me fill you in quick. Or you can also scroll down and just read it. But basically I’m setting out to make some different decisions for my family. This is a NEVER ENDING battle for me and something I think I’m always going to struggle with. FOOD. I’ve struggled with food since I was in high school, really. I mean, really, really, really struggled with it through college. BUT, that’s for another blog post. I don’t struggle with it in those ways anymore, but my health, finding a balance and making good decisions is a constant battle for me. For all of us, right? I know I’m not alone. So I’m setting out to try to set myself up for success. So I took a few hours on Sunday and set it aside to COOK. And man alive, I DID IT. I cooked FOUR loaves of bread. Yes, FOUR. I made two loaves of white sandwich bread (the recipe will be below) and I made two loaves of Amish Friendship bread. If you’ve never had Amish Friendship bread, hit me up and I’ll pass some to you in ten days. OMG YUM. I cooked about three pounds of shredded chicken to have on hand, I cut up ALL my fruits and veggies for the week, I made breakfast cookies, no-bake energy bites, quinoa and rice to have on hand. I stocked and prepared my fridge for this week and I am SO proud of myself. Carving out three to four hours to do all of that was a huge discipline for me. But it was super energizing because now I can confidently make quick breakfasts and lunches for us. And this week has been SO MUCH EASIER in that regard. Usually I run through Chickfila because I don’t have time to cook during the lunch hour. It’s just easier to grab stuff out. But this time I’m prepared. So I’m going to work hard to make this a new habit for myself. It’s a constant discipline in my life. And it makes it harder that cooking isn’t my most favorite thing to do. But I do feel more confident as meal time approaches because I’ve prepared my meals and I can know with full certainty that my kiddos aren’t eating checmicals and preservatives. I’ve had a few people ask me for the homemade bread recipe that I used. 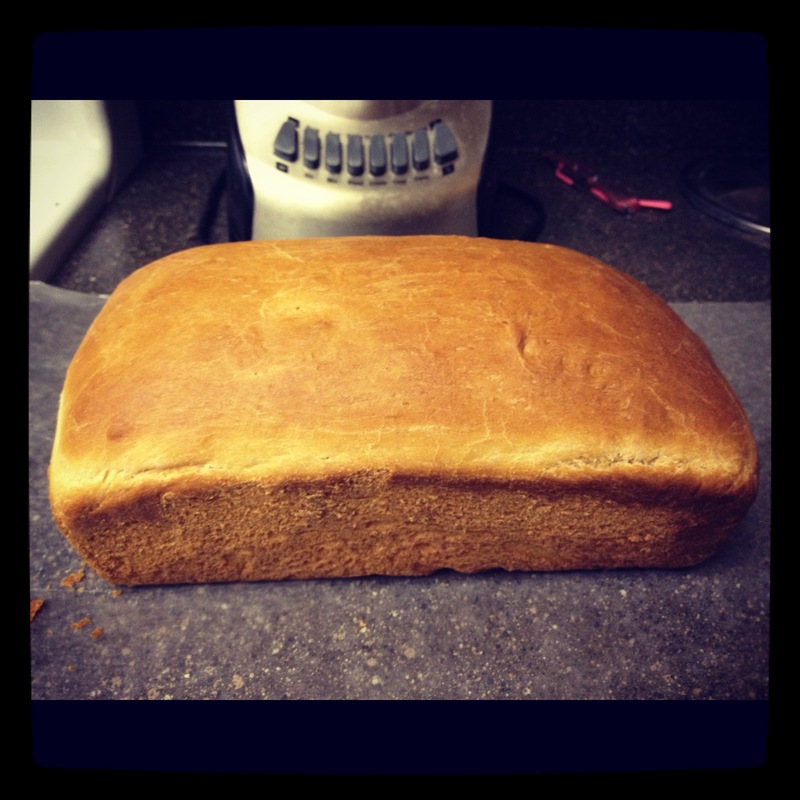 I never realized how EASY making homemade bread was!! Time consuming, but easy. This recipe made one loaf for now and one to freeze for later. So I’m hoping to do a huge bread making day soon and so I can stock my freezer of bread. Then I won’t have to make it every week. But there’s something very satisfying to me about making your own bread, and I really found it fun! I actually JUMPED up and down (kind of high in the air, actually haha) when my bread came out looking and tasting perfect. I usually ruin stuff in the kitchen. So the fact that this bread is amazing is PROOF that anyone CAN do it. It just takes time, discipline and a DESIRE to actually do it. Check it out. And leave me any links to recipes you love too! I love to share ideas! 1. In large glass bowl dissolve the sugar in the warm water and stir in yeast. Allow to proof about 5-10 minutes until it looks foamy. 2. Mix in salt and oil to the yeast. Mix in flour 1 cup at a time. 3. When dough has formed a ball, knead on a lightly floured surface until smooth (not sticky) about 5 minutes. 4. Wipe down your previously-used glass bowl and oil it well. Place the dough in bowl and turn to coat surface of dough with the oil. Cover with plastic wrap that has been sprayed with non-stick spray (trust me on this one). Cover with a towel and put it in a warm area. Allow to rise until it has doubled in bulk. 5. Knead the dough lightly and cut it in half. Shape it into loaves and place into two well oiled loaf pans. Cover both with sprayed plastic wrap. Put one loaf in the freezer (more on this loaf later). Cover the other loaf with a towel and allow to rise for 30 minutes. 6. Bake your bread in a preheated over at 350 degrees for 20-30 minutes or until the top is golden brown. 7. Let your bread sit for at least 15-30 minutes in the pan after it comes out of oven to finish setting up…then dig in! 8. For the Freezer Loaf: After about 8 hours, take it out of the freezer, remove it from the pan, wrap it in plastic wrap & then put it in a labeled freezer bag. It will keep in the freezer for up to 6 months. When you’re ready to use it, unwrap it and put it in an oiled loaf pan directly from the freezer. Cover with oiled plastic wrap and a towel and put in a warm place for about 3-4 hours. The dough will thaw and rise at this time. After that, follow the instructions for baking! Here’s my picture of my bread just out of the oven! So fun. I found this recipe on Pinterest, but it was actually from this blog. 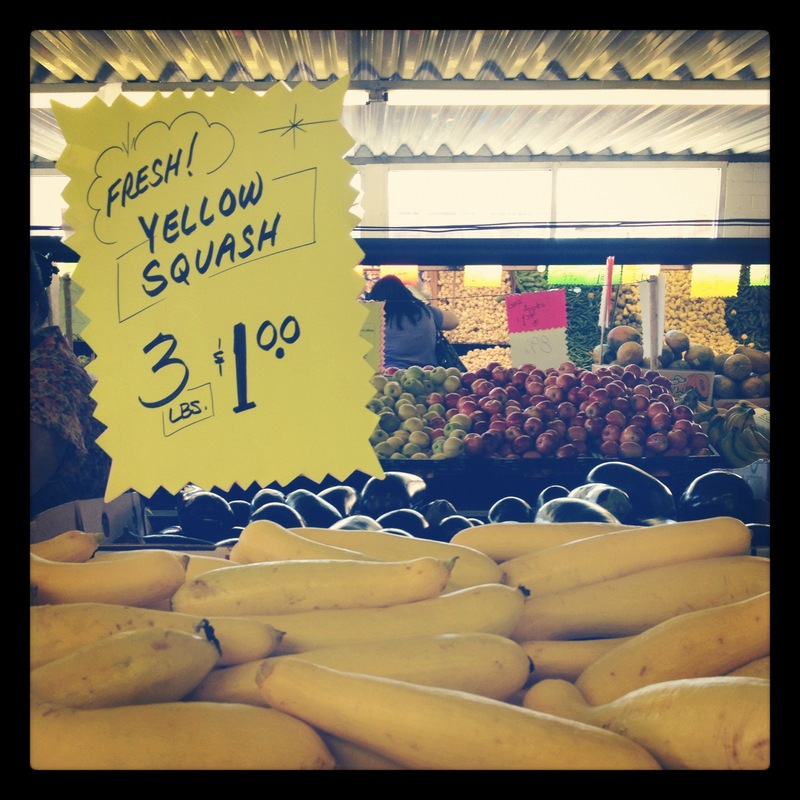 In her blog post, she details out the cost of the bread versus store bought bread. Check it out. It averages to about $1.00 a loaf. Bread doesn’t need to be complicated, people. And it feels SO much better knowing that you’ve made and eaten something that is actually only five ingredients or so. AND that you can pronounce them. I can’t wait to make more! So, have at it and HAPPY BAKING! I have REALLY been beating myself up lately over some habits I’ve formed that I’m not SUPER proud of. Meaning, we eat out too much, I’m eating too much processed food, and not cooking or preparing for me week the way I’d like. Well my friends. THAT IS ALL ABOUT TO CHANGE. Tomorrow I’m starting a NEW weekly habit. And I’m nervous about it because I’m NOTORIOUS for starting something of this nature and not following through. It takes a lot of discipline. And while I have quite a bit of discipline in my life, the area of anything domestic or if it involves working out is super hard for me. I’m not ashamed to admit it, BUT it is slightly embarrassing. It IS embarrassing to say that I’d rather get take out than cook. It’s not my favorite thing to do. But alas. It IS better for my family. And it will save us a ton of money. And while I’m not one to clip coupons or only shop at the grocery stores that have the bargains this week, I DO think I need to be a better steward of what God’s given me in this area. Plus, it will be healthier for us. The food industry is pretty gross these days and I constantly feel convicted about not taking the time to prepare my week in such a way, so that I don’t need to eat out. But I’m exhausted and don’t take time to do it. Well, tomorrow starts a new day for me. I have already done ALL the grocery shopping for next week. I have cleaned/organized our pantry. And I have a plan for tomorrow. Tomorrow, I am basically going to get most of what I need ready and in the fridge so we can quickly grab snacks and prepare meals within our busy schedules. Sundays is usually a down day for me anyways. My family usually comes over. I should be able to stand in the kitchen and prepare for the week while I’m visiting with all of them. And my sister even offered to help! Now I really have ZERO excuses. So tomorrow I am going to be cutting fruits and vegetables and getting them organized into tupperware. If they’re all ready to go, it’ll make snacking and cooking with them much faster. I’m going to be baking two loaves of bread (yes, homemade bread! ), banana bread, Amish friendship bread, homemade coffee creamer, no bake energy bites, breakfast cookies, quinoa, brown and white rice, and cooking enough shredded chicken to have on hand in my fridge to last me for the week. Are you tired? I AM TOO. But I really think this new approach to my kitchen is going to help me. I’m not trying to be super mom. I just DON’T have time every single day to cook. We are super, super busy people. But I DO have time on Sundays to prep for the meals we’ll need during the week. And I’m really convicted about what we put into our bodies and trying to avoid all the chemicals that are on the shelves these days. If you can’t pronounce it, you shouldn’t be eating it. It’s SO hard. So I’m going to try it. I’ll definitely post my success and/or failures that may ensue tomorrow. HA. Hopefully I have more successes than not. And I’m really praying and asking God to bless my time doing it so that it will make for a fruitful week. I’ll post my favorite recipes once I figure out what I’d like to share. I’ve been cooking this a lot and I just had to post it here. It’s one of Jason’s FAVORITE meals ever. 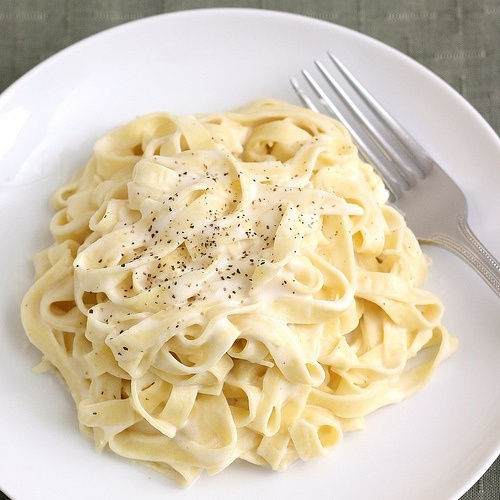 I hardly ever cooked it at home because the jarred Alfredo sauce, in my opinion, is GROSS. So I just never really made it. OR I would occasionally purchase some of Olive Garden’s Alfredo sauce to use on my own noodles at home. OMG YUM. Even though this recipe is great, I still need to do that again. It’s a treat for sure, but soooo yummy. Anywhoo. It’s an easy and quick recipe to make. So I usually always keep these things on hand. However, I’m trying to do Weight Watchers again, and this is HARDLY healthy for you. HA. But, it’s really amazingly good, so try it on a night when you’re craving some Italian food, but don’t want to go out. 1. Melt butter and whipping cream together over low heat, stirring constantly. 2. Prepare noodles while the butter is melting. 3. After butter has melted mixed well with the whipping cream, add in parmeasan cheese and stir completely. 5. Pour over the noodles once they’re finished cooking and ENJOY. I’m making this for dinner tonight and I just had to share it. I found it on Pinterest, which is where I’ve been finding a LOT of new recipes lately. And each one has been a HIT. 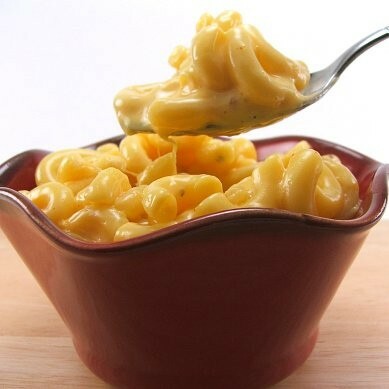 I know I already have a recipe on this blog for macaroni and cheese, but you could always use more than one, right? Well, I’m a fan. And it’s my blog. So here it is. In all honesty, it’s a GREAT recipe and I was able to make it really quickly. Which is a plus in my crazy insane life. So give it a whirl. I steam some broccoli and actually mix the two together. Wow I cant wait to have this for dinner to tonight! 1. Boil the pasta according to package directions, but reduce the cooking time by one minute. Drain and pour back into the cooking pot. 2. Over medium-low heat, add the butter and stir until melted. 3. Mix the egg, milk, and spices and pour over the pasta. Stir until it begins to thicken, about three to five minutes. 4. Remove the pan from the heat then add the cheese in four installments, making sure the first is melted completely before adding the next. We always usually make mexican food for dinner on Christmas Eve. It’s been a tradition in Jason’s family for years to have tamales and we’ve sort of carried the tradition on into our own family now. And this year I was GOING to make tamales from scratch. BUT then I got scared and decided not to. I think this spring I am going to try to make a bunch and see how they turn out. Then maybe Christmas 2012 will be my year for homemade tamales. SO. We ordered tamales from a local spot nearby and I made enchiladas at home to go with them. It was a plan that worked out rather well! I found this recipe on Pinterest. Whenever I’m in the mood for a new recipe, I check there first as of lately. It’s SUCH a great spot to find really awesome recipes AND you can keep them in one spot until you’re ready to use them. I love it. 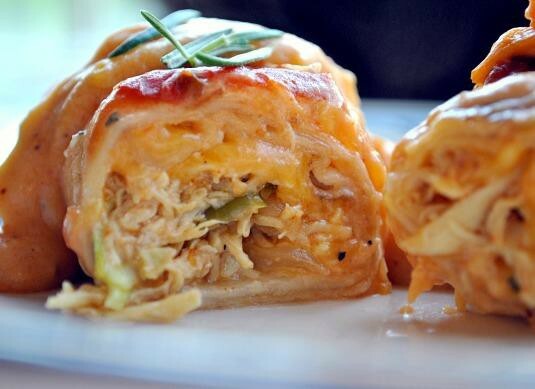 So I found this recipe for Sour Cream Chicken Enchiladas and new I wanted to try it for Christmas Eve. And it was a huge hit! I’m sharing it here with you now. You’ve got to try these. YUM. 1. In frypan, cook chicken and onion together in oil over medium-high heat until chicken is just done. 3. Roll enchiladas and place seam-side down in 9×13″ baking dish that has been lightly sprayed with no-stick cooking spray. 6. Top with remaining 3/4 cup cheese (baking dish may be double-wrapped and frozen at this point) and bake at 400° for 20 minutes until cheese is melted and sauce near edges of baking dish is bubbly.